Both pattern recognition and computer vision have experienced rapid progress in the last twenty-five years. This book provides the latest advances on pattern recognition and computer vision along with their many applications. It features articles written by renowned leaders in the field while topics are presented in readable form to a wide range of readers. 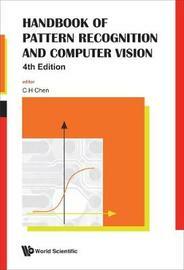 The book is divided into five parts: basic methods in pattern recognition, basic methods in computer vision and image processing, recognition applications, life science and human identification, and systems and technology. There are eight new chapters on the latest developments in life sciences using pattern recognition as well as two new chapters on pattern recognition in remote sensing.